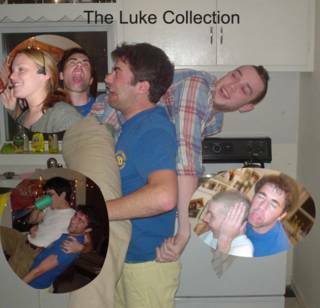 This is what happens when Luke drinks vodka. I can share birthday with famous peoples? This is your Sifl and Olly reference for the day. It's okay, I know CPR. More Party? Okay, if you insist! Tom is a real pink thing. Karaoke Revolution 3 didn't ship today.